After lifting our jaws from the floor, we quizzed Eidos on what is destined to be one of this-gen's most impressive looking games. Kikizo: You mentioned that the weather effects are only fifty per cent done. Do you think that you maybe will be overdoing it if you add even more? SCR: It doesn't really mean that there are going to be different and more weather effects added in a scene, but there's going to be more nuances in them, for instance the raindrops bouncing off Lara, trees blowing - small details like that that really add to the atmosphere - the things that come later in production. Kikizo: Got it. How close were you before this recent announcement to a June launch? Was it already fairly far along in production? 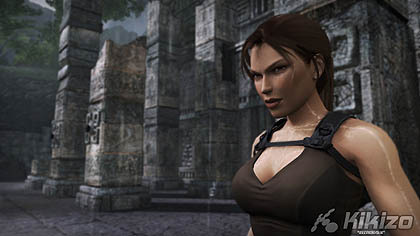 SVR: Tomb Raider is really important to us, and we wanted to give Crystal the space and the correct development timeline in order for them to make the Tomb Raider that is going to be the best Tomb Raider so far. Kikizo: But did it come as a surprise to Crystal when they realised they essentially had an extra half a year to finish it? KC: I mean they have been working on the game for a long time; they started working on the game while Tomb Raider Legend was still in production, but again it just needs to have that polish for it to be AAA. And that's what we're giving the guys time to do. Kikizo: With these big locations and puzzles that scale environments does this mean the player may end up doing a fair bit of backtracking? BB: It depends. I mean as with previous Tomb Raider games, and this type of game, you a make a progression through the level and unlock a shortcut back. Lara's also got a much faster sprint move, and the bike is very much more integral to the levels, rather than having the standard "OK, here's a bike level", it's one of the tools that Lara's got in her 'arsenal' of gear. So if you want to get from A to B quickly, that's what the bike's for - it has other functionality, but we'll be revealing that later. KC: And sections of the puzzles can be solved in different orders as well, so I think that will help with the backtracking as well, because you'll complete that part that's closest to you, first. Kikizo: In the demo, we saw a block fall down, and you said that it lands in a different place on each play through - does that lend itself to designing the game? If you can't guarantee the position of an object like that, how does that affect the way the puzzle unfolds? BB: The right answer is that you don't design based on objects that you can't rely on, in the same way that you wouldn't want to accidentally block the players progress, you don't want to rely on it to be in a specific place to be able to facilitate the player's progress. So given that it's a real physics system, we've got a lot of flexibility there, so the player can move objects as necessary. But yes it's something that the level designers are aware of, and it is something that a lot of next-gen games which have that functionality... some of them are less successful at dealing with it. But we're confident that it's not going to be a problem. Kikizo: Are there going to be any Quick Time Events this time? BB: Not as we knew them. There's going to be a new system that's more flexible and with a bit more freedom. It's going to be more natural and more rewarding to the player. Kikizo: Is Underworld going to cover more of Lara's back story? KC: We can't discuss the story at this stage - our lips are sealed at this point in time! It's safe to say though that the guys have written a story that is a new adventure, and the way that they have designed it is so that fans will be very happy, but likewise people who have never played it will also love it. 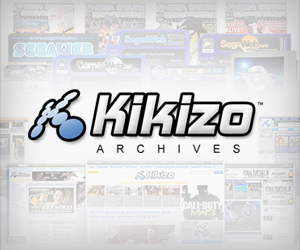 Kikizo: Thanks for your time. I can't wait to see more of this. 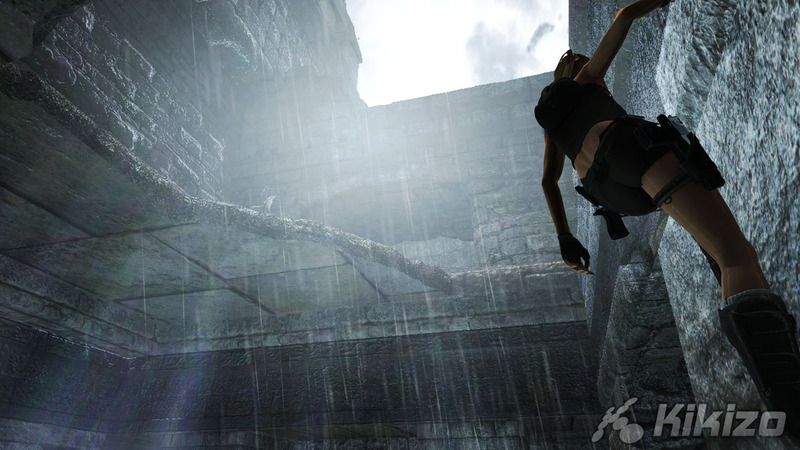 Tomb Raider Underworld is released later this year.